In the author’s note at the end of The Poisoner’s Enemy, I promised to write one more story about one of my all-time favorite characters–Ankarette Tryneowy, the Queen’s Poisoner. I’m pleased to announce that it ended up being more than a short story, more like a novella, and it will be featured in the Winter 2018 issue of Deep Magic. It was so fun to enter that world again, to go into the story of a character that so many of you love so much. 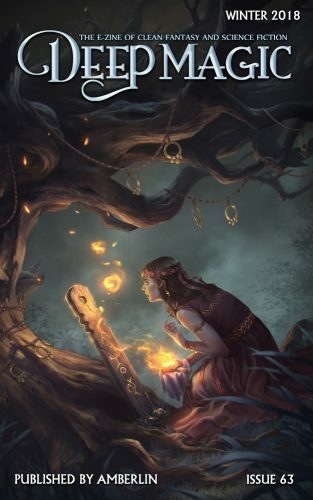 I’m also pleased to announce that two of my stories (The Beesinger’s Daughter and Metamorphistry) are featured in the new print anthology that we’re doing in Deep Magic. It’s available on kindle or paperback. If you order the paperback version, you can get the e-book as well for only $0.99 through the Kindle Matchbook program. This is the same for all my books actually. If you order the print version, the Kindle version is discounted. 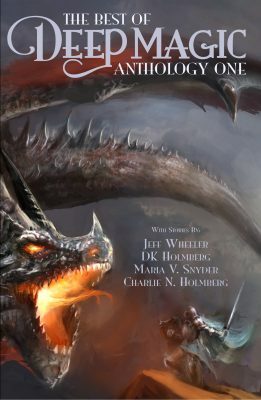 This anthology is impressive – 23 stories and novellas, the best of the best stories we published over the last two years including stories by Charlie N Holmberg, Maria V Snyder, and DK Holmberg. They also include stories by authors you don’t know but will be glad you discovered. It’s a great book to add to your collection. If you haven’t picked up the newest book in my Harbinger series, it launched this week. IRON GARLAND is taking the world by storm right now. And the next book, PRISM CLOUD, comes out in March, just around the corner. The fifth and final book in the series is also finished and going through edits right now with my publisher. This is truly an epic story. I think you’ll love it.